Install, program, maintain, and repair security and fire alarm wiring and equipment. Ensure that work is in accordance with relevant codes. Excludes "Electricians" (47-2111) who do a broad range of electrical wiring. Alarm installation and services companies can be extremely vulnerable to the actions of an unsuitable employee. A thorough criminal record background check is the primary building block in a company's risk management program. The cost to an alarm services business of a "Bad Hire" is incalculable. A quality employment screening background check can be one of the least expensive yet most important investments you can make in your business. For about the cost of an ink refill for your printer or copy machine, you can do the due diligence of a professional employment background check. 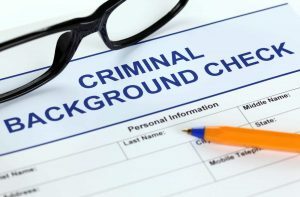 A thorough criminal records background check that includes a check of State, County and Federal criminal records. Our criminal record "Smart Search Plus®" will give you the peace of mind that you have done a diligent criminal records background check. For an example of an applicant with a Federal criminal record but no state or county arrest record, Click Here. This record would not have been found without a check of the separately maintained Federal criminal records systems which contains about 10 per cent of all arrest records. Instant driving records are available for screening those applicants that might also possibly drive on behalf of the business.